Also serving communities of Ypsilanti. There are 9 Memory Care Facilities in the Ann Arbor area, with 6 in Ann Arbor and 3 nearby. The average cost of memory care in Ann Arbor is $4,961 per month. This is higher than the national median of $4,650. Cheaper nearby regions include Saline with an average starting cost of $4,100. To help you with your search, browse the 13 reviews below for memory care facilities in Ann Arbor. On average, consumers rate memory care in Ann Arbor 4.2 out of 5 stars. Better rated regions include Howell with an average rating of 5.0 out of 5 stars. Caring.com has helped 6 families in Ann Arbor find high-quality senior care. To speak with one of our Family Advisors about memory care options and costs in Ann Arbor, call (855) 863-8283. Ann Arbor, Michigan, is home to at least a dozen different memory care facilities designed to help meet the needs of the state's growing number of seniors with dementia. Statewide, about 10.8 percent of Michiganders over the age of 65 have Alzheimer's disease, and the number of cases is only projected to increase through the year 2025. Seniors who choose a memory care facility in Ann Arbor will also be close to state-of-the-art medical facilities, including those offered at Michigan Medicine. 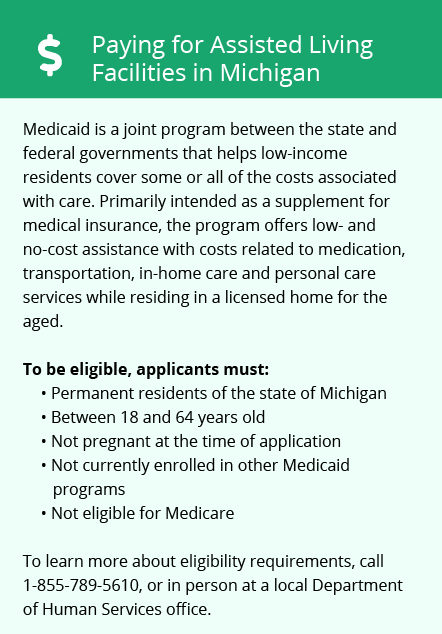 In Ann Arbor and throughout Michigan, the Department of Licensing and Regulatory Affairs may license memory care facilities as Adult Foster Care (AFC) facilities or Homes for the Aged (HFA). Tax policies in Ann Arbor and throughout Michigan are generally favorable toward seniors. Michigan does not tax Social Security income. Pensions, 401(k) plan withdrawals and other kinds of retirement income are taxable but may be deductible. Compared to other large cities in Michigan, Ann Arbor has a higher overall cost of living. For example, living costs in Detroit and Grand Rapids are 5.6 and 7.3 percent lower than the national average, respectively. By contrast, Ann Arbor's cost of living is 27.1 percent above the U.S. median. However, housing prices account for most of the difference. Seniors can expect some goods and services, including groceries and transportation, to be cheaper in Ann Arbor than elsewhere in Michigan. Southeast Michigan's cold, snowy winters may be especially tough on older adults. Each year, about 53 inches of snow blanket Ann Arbor and temperatures dip to an average low of 16 degrees Fahrenheit, families with loved ones in memory care facilities should make sure the staff takes extra precautions to keep residents warm and comfortable in cold weather. According to the American Lung Association, which uses several measures to determine a city's air quality, Ann Arbor, along with Detroit and Warren, ranked as the 14th most polluted city in the U.S. for year-round particle pollution. Ann Arbor's poor air quality may pose health risks, especially for older residents with respiratory problems. Memory Care costs in Ann Arbor start around $4,961 per month on average, while the nationwide average cost of memory care is $4,799 per month. It’s important to note that memory care rates in Ann Arbor and the surrounding suburbs can vary widely based on factors such as location, the level of care needed, apartment size and the types of amenities offered at each community. Ann Arbor and the surrounding area are home to numerous government agencies and non-profit organizations offering help for seniors searching for or currently residing in an assisted living community. These organizations can also provide assistance in a number of other eldercare services such as geriatric care management, elder law advice, estate planning, finding home care and health and wellness programs. To see a list of free memory care resources in Ann Arbor, please visit our Assisted Living in Michigan page. 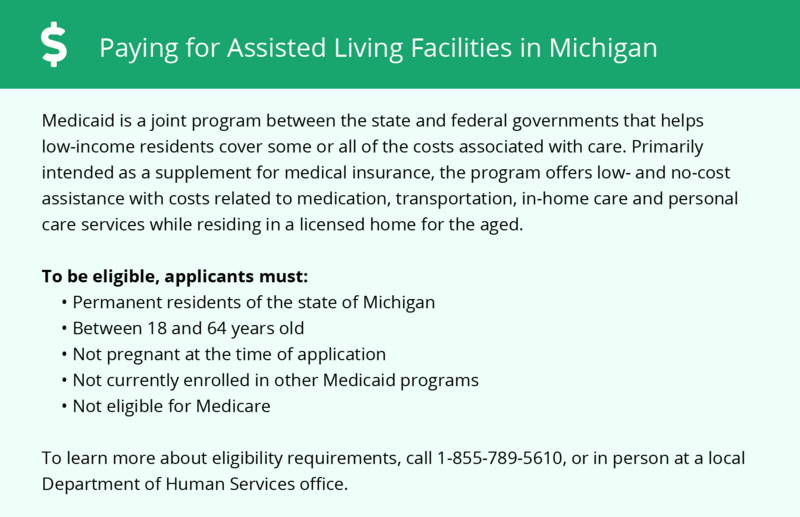 Ann Arbor-area assisted living communities must adhere to the comprehensive set of state laws and regulations that all assisted living communities in Michigan are required to follow. Visit our Memory Care in Michigan page for more information about these laws.